Luccia Gray was born in London, and now lives in the south of Spain with her husband. She has three children and three grandchildren. When she's not reading or writing, she teaches English at an Adult Education Centre and at University. Following Edward Rochester’s death, Jane Eyre, who has been blackmailed into marrying a man she despises, will have to cope with the return of the man she loved and lost. The secrets she has tried so hard to conceal must be disclosed, giving rise to unexpected events and more shocking revelations. Here are a few great snippets! I was convinced I would never see him again. I had tried unsuccessfully to expel him from my thoughts, but he was always there, haunting my dreams and slipping into my mind during the day. 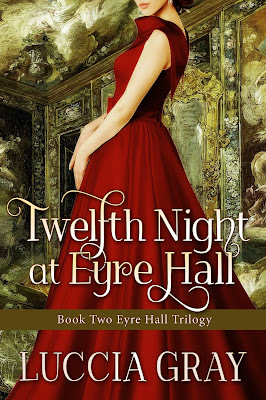 The morning after Twelfth Night, I had planned to leave London and return to Eyre Hall. I was having breakfast by the hearth at the inn, when someone crept up behind me and sat down in the chair to my right. I looked down at his unsteady hands, fearing he wished me no good.